As we get older, the wear and tear on our joints begins to take a toll and many of us aren’t as comfortable as we used to be. It may begin as stiffness in the hips, or a knee that bothers you when you’re walking a lot. Over time, it can get worse, and you may receive a diagnosis of arthritis or damage to the cartilage or bone surrounding the joint. If that happens, you are hardly alone. In fact, new research shows that a common treatment for these problems—joint replacement surgery—is being performed on patients younger than ever. The study, which took place at the Perelman School of Medicine at the University of Pennsylvania in Philadelphia, found that the average age of people undergoing joint replacement operations has been decreasing since the turn of the century.1 The results were based on data collected from the National Inpatient Sample Database, which houses medical records of more than 116 million Americans. The records were analyzed between 2000 and 2014 to determine whether changes occurred in the demographics of joint replacement patients during that time. For the two most commonly performed procedures, knee and hip replacements, the patient age appears to be on the decline. For hip replacement surgery, the average age has dipped from over 66 to just under 65. Knee replacement surgery is showing an even greater drop, going from an average age of 68 to just under 66. While these might not sound like major differences, the prevalence of these procedures means that thousands of people far younger than 65 or 66 are having them done. Think about it this way: for every 75- or 80-year-old having joint replacement, there is a corresponding 50- or 55-year-old. And approximately 700,000 total knee replacements and 400,000 total hip replacements are being performed in the United States annually these days. Looked at from a slightly different perspective, the evaluation of the data also shows that the drop in age has been steady through the 15 years examined. For a first joint replacement surgery, the average patient age declined by a tenth of a year for each of the 15 years examined. For a second total knee replacement operation, the average age decreased by two-tenths of a year annually. And yes, it is very common to need a second or “revision” procedure because the first only lasts about 20 years—another problem with the dropping age. Other trends noted in the investigation were based on gender and ethnicity. 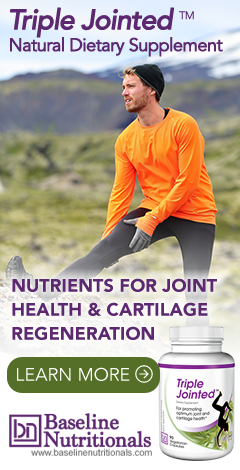 Women have traditionally made up the majority of joint replacement patients. The researchers discovered that at the highest point, women were undergoing 62 percent of the joint replacement procedures. But men are starting to even things out, with an upswing of 0.1 percent each year. And while non-Hispanic whites have begun to decrease in proportion to the total, blacks have picked up the slack, with their joint replacements rising by 0.1 to 0.2 percent each year. But that is likely only part of the story as to why patient ages are dropping for these procedures. The joint damage that often results in the recommendation for joint replacement surgery is strongly associated with excess weight. A 2007 study at the University of North Dakota School of Medicine and Health Sciences in Grand Forks showed that obesity was strongly linked to the need for a total hip or knee replacement in those under 60 compared to their peers of a healthier weight.3 Carrying too many pounds puts a severe strain on all parts of the body, but especially the joints of the legs that have to bear all of this weight. Ultimately, if you are experiencing a lot of pain in a knee or hip joint, try losing weight before you even consider surgery. If weight loss doesn’t help, consider more conservative, natural treatments including supplements that can help repair and rebuild damaged cartilage. A joint replacement procedure should really be a last resort, and one that is chosen only after a second opinion has confirmed the recommendation. 1. Sloan, Matthew and Sheth, Neil P. "Changing Demographics in Primary and Revision Total Joint Arthroplasty, 2000-2014." AAOS 2018. March 2018. Accessed 14 March 2018. http://submissions.mirasmart.com/Verify/AAOS2018/Submission/out/AAOS2018-005902.PDF. 2. Riddle, Daniel L.; et al. "Use of a Validated Algorithm to Judge the Appropriateness of Total Knee Arthroplasty in the United States: A Multicenter Longitudinal Cohort Study." Arthritis & Rheumatology. 28 July 2014. Accessed 15 March 2018. http://onlinelibrary.wiley.com/doi/10.1002/art.38685/full. 3. Harms, S.; et al. "Obesity increases the likelihood of total joint replacement surgery among younger adults." International Orthopaedics. 11 May 2006. Accessed 15 March 2018. https://www.ncbi.nlm.nih.gov/pmc/articles/PMC2267551/.